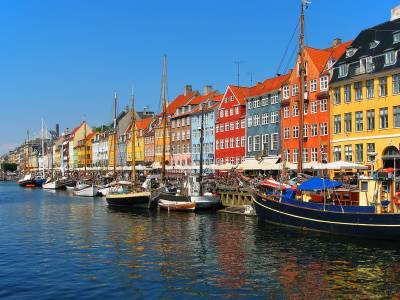 Nyhavn Harbor is a row of brightly painted 17th century houses on the Copenhagen harbor. The name translates to “New Harbour”, but the houses aren’t so new any more. The Nyhavn Harbor waterfront area was built by King Christian V. Nyhavn stretches from Kongens Nytorv Square to the Royal Playhouse, which makes Nyhavn only a couple blocks long. Hans Christian Andersen wrote fairy tales in house #20. The Royal Danish Theater faces Kongens Nytorv Square. 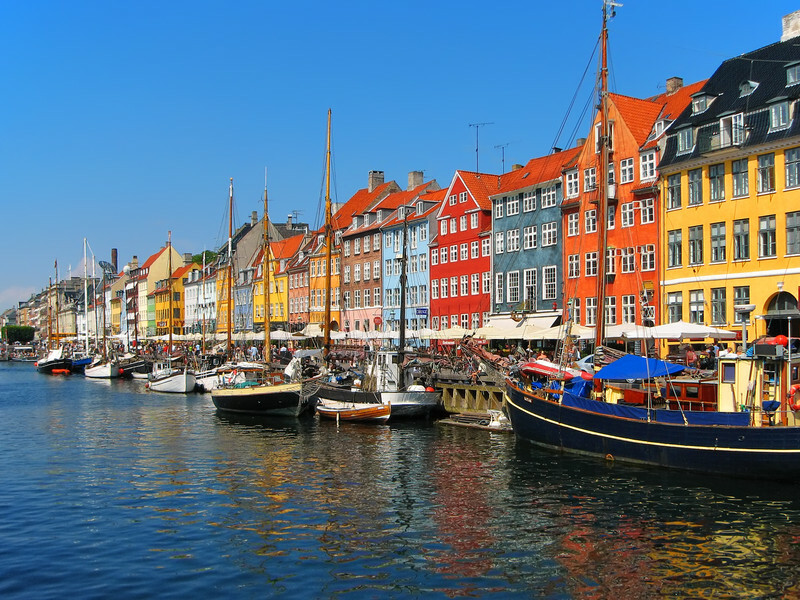 From Nyhavn, take a one hour canal cruise through the canals of Copenhagen. 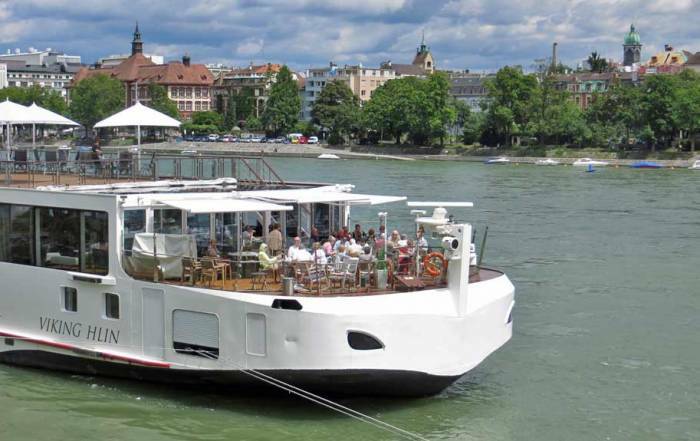 Try a Hop-on Hop-Off Bus and Boat Tour. 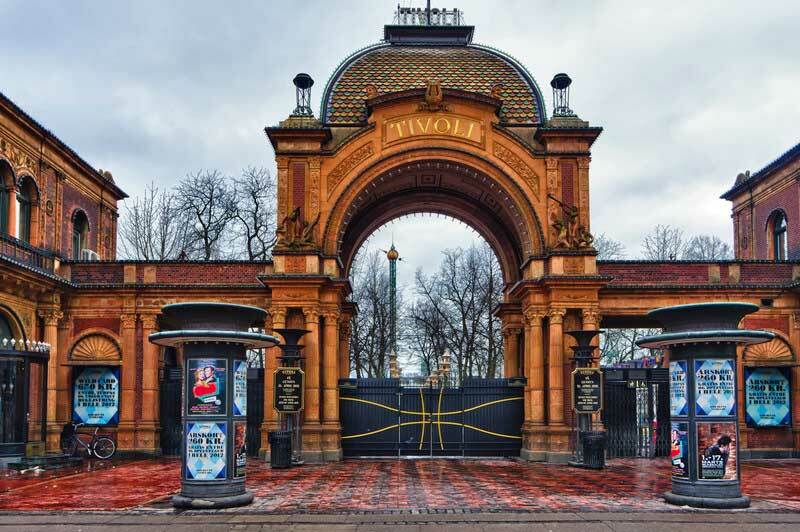 Tivoli Gardens is an amusement park that was an inspiration for Walt Disney to build Disneyland. 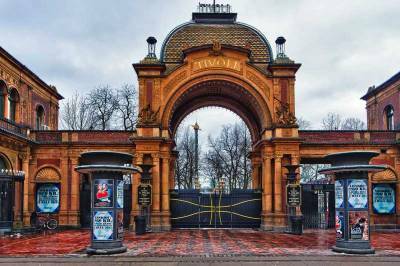 Grøften Restaurant, in the Tivoli Gardens, is one of the most famous restaurants in Copenhagen. City Hall Square is located at the entrance to the Tivoli Gardens. The City Hall Square has room for 50,000 people. On the opposite side of City Hall Square is the Stroget. The Stroget is the longest pedestrian-only shopping street in Europe. 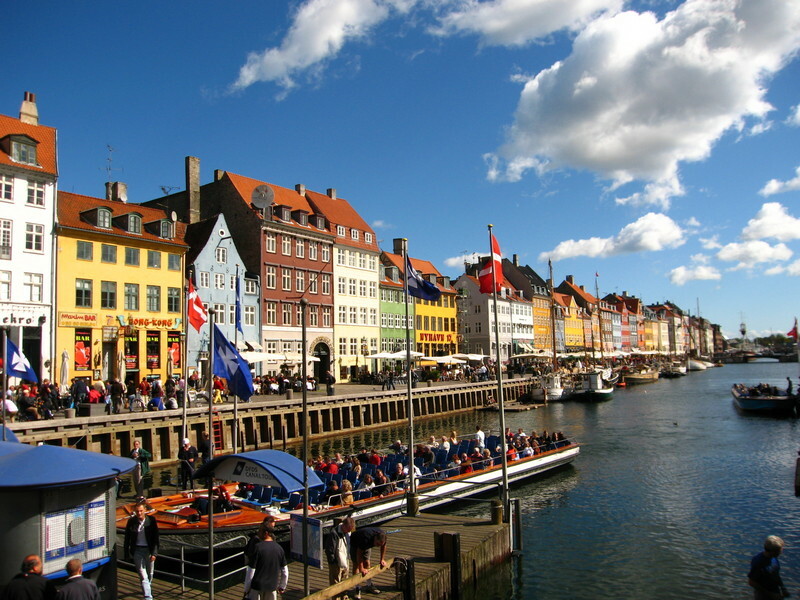 It continues all the way to Kongens Nytorv Square and the beginning of Nyhavn Harbor. Also near the square, visit the Ny Carlsberg Glyptotek to see classic Egyptian, Roman and Etruscan art. The Kastellet or Copenhagen Fortress was constructed in the early 1600s as a pentagon shaped rampart. The rampart is now a grass covered mound surrounded by water. Just outside the Kastellet to the south is the Gefion Fountain. The Gefion Fountain is the largest monument in Copenhagen. The legend is that Gefion turned her four sons into oxen so that they could plough and create the island Copenhagen. 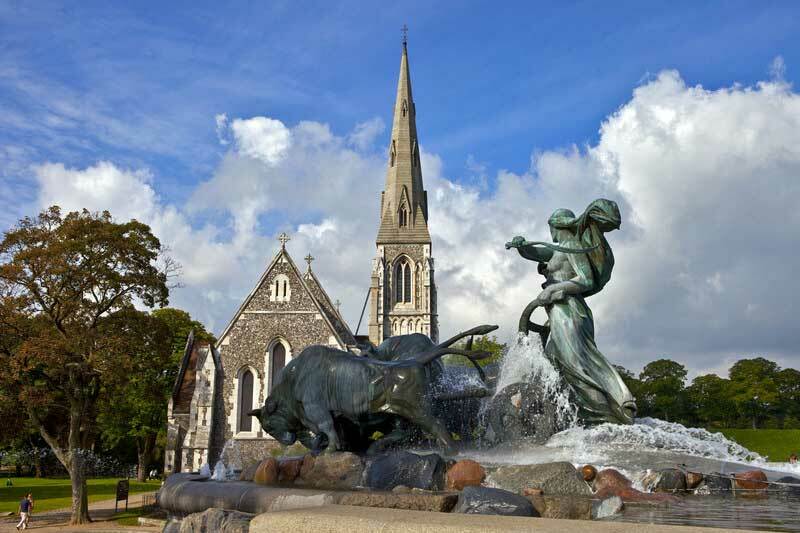 Beside the Gefion Fountain is St. Albans Church and the Museum of Danish Resistance. 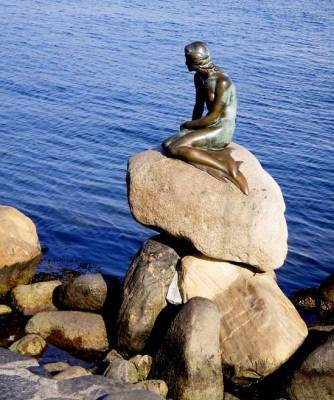 The Little Mermaid is at the northeast corner of the Kastellet at the water’s edge. Surprisingly, the Little Mermaid is a very small statue with a very large following of spectators. Outside the western side of the Kastellet, you will find the Swedish Gustaf Church. 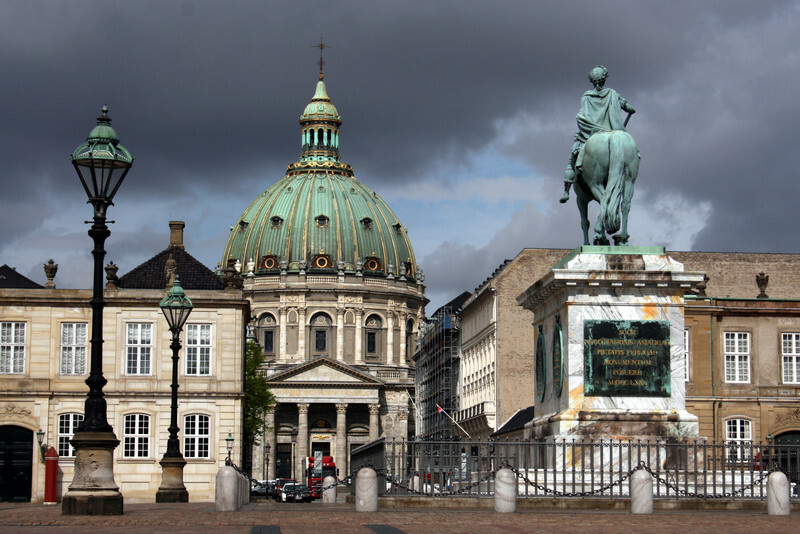 Copenhagen Cathedral (Church of Our Lady) is also known as the National Cathedral of Denmark. A memorial in front of this Lutheran church commemorates the break of Denmark from the Catholic Church. Inside the church are life-size sculptures of the 12 apostles and Christ, created by Bertel Thorvaldsen. About a block from the Copenhagen Cathedral is Gammeltorv Square, the oldest square in Copenhagen. The Fountain of Charity in Gammeltorv Square is the oldest fountain in the city. Gammeltorv Square is on the Stroget pedestrian walkway. Also close to the Copenhagen Cathedral is the old Round Tower in front of Trinity Church. 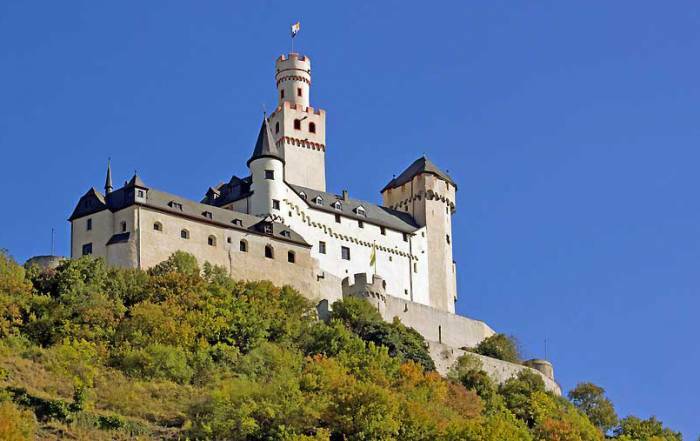 The Round Tower was built by King Christian IV in 1642 and provides views of the city and an observatory. 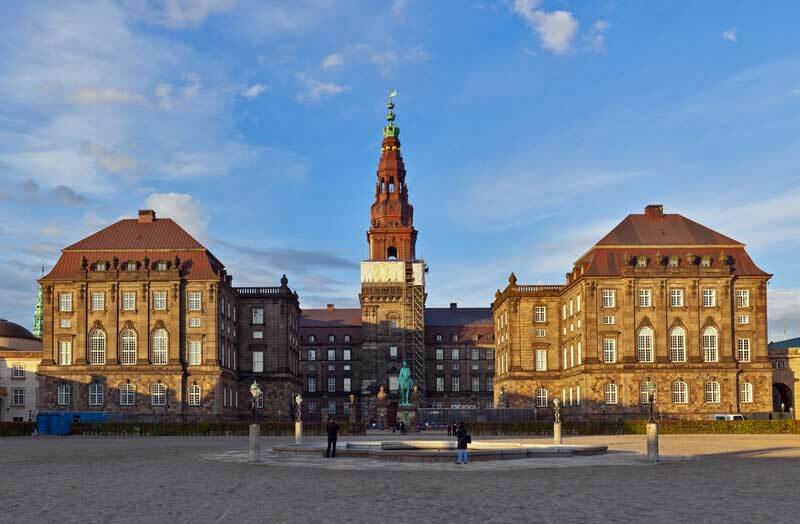 Christiansborg Palace is the seat of the Danish Parliament. Nearby is the Thorvaldsens Museum with works by Bertel Thorvaldsen. Across the canal from Christiansborg Palace is Gammel Strand Street. Also across the canal from Christiansborg Palace is Saint Nikolaj Church, which now houses the Copenhagen Contemporary Art Center. 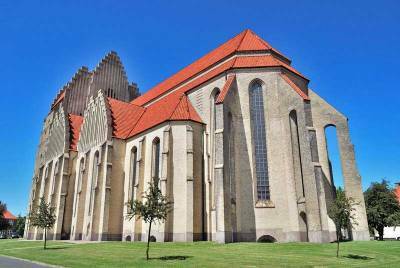 Saint Nikolaj Church appears frequently in pictures of Copenhagen, because its spire can be seen from so many locations. On the small island with Christiansborg Palace, you will also find the Old Stock Exchange and the Royal Library and its Black Diamond wing. Visit Denmark’s greatest museum, the National Museum nearby as well. Just a couple blocks from Nyhavn is the Amalienborg Royal Palace. The Amelienborg Royal Palace is the winter residence of the Danish royal family. See the changing of the guard. 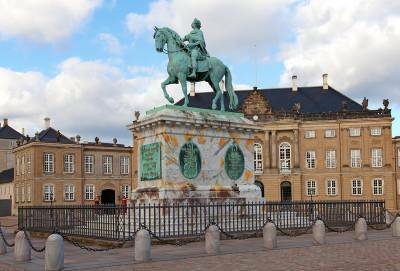 Visit the Amalienborg Museum. 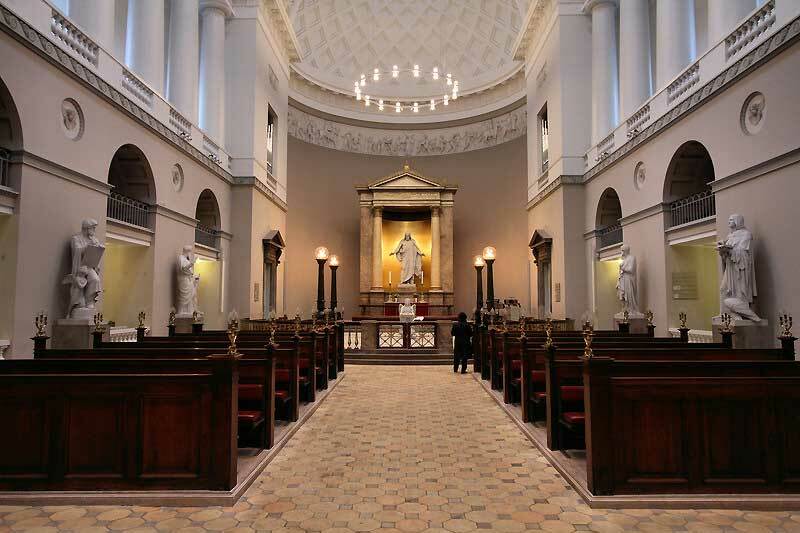 Also see the Lutheran Frederik’s Marble Church, which is also known as the Danish National Church and the Church of Denmark. Stroll the Amalie Garden on the Waterfront too. 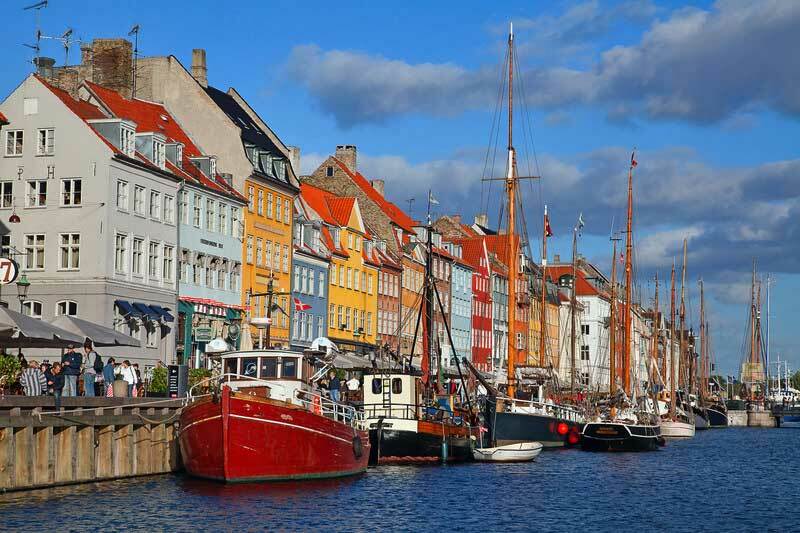 Christianshavn Harbor is series of 17th and 18 century buildings and canals that are filled with sail boats. 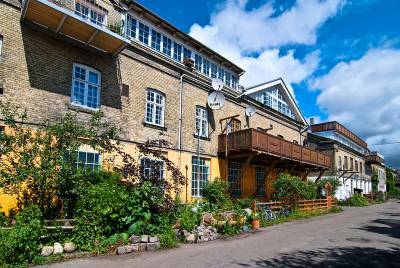 Christianshavn includes Christiania – a self managed community and spin off of the hippie era. 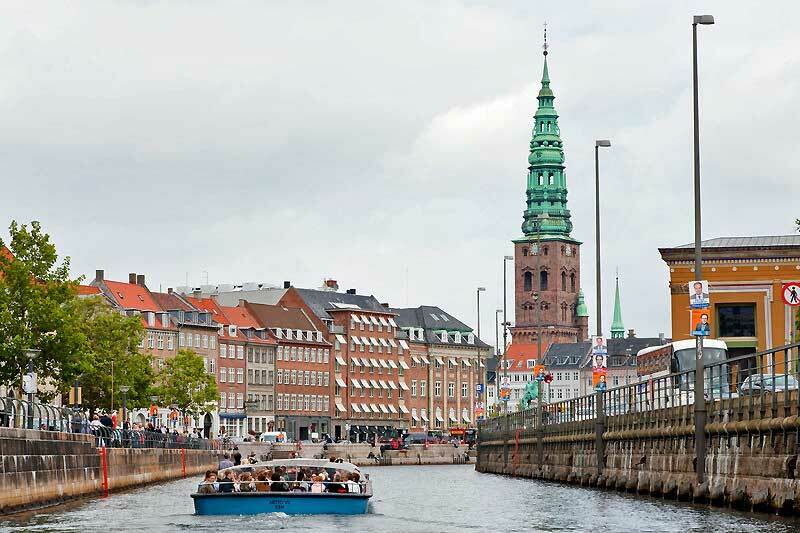 The Church of Our Savior with its spiral staircase steeple is the centerpiece of Christianshavn. Rosenborg Castle – 16th century summer palace and garden of King Christian IV. See the king’s elaborate 1596 coronation crown. The Natural Natural History Museum – Botanical Gardens and the National Gallery of Denmark are close to Rosenborg Castle. 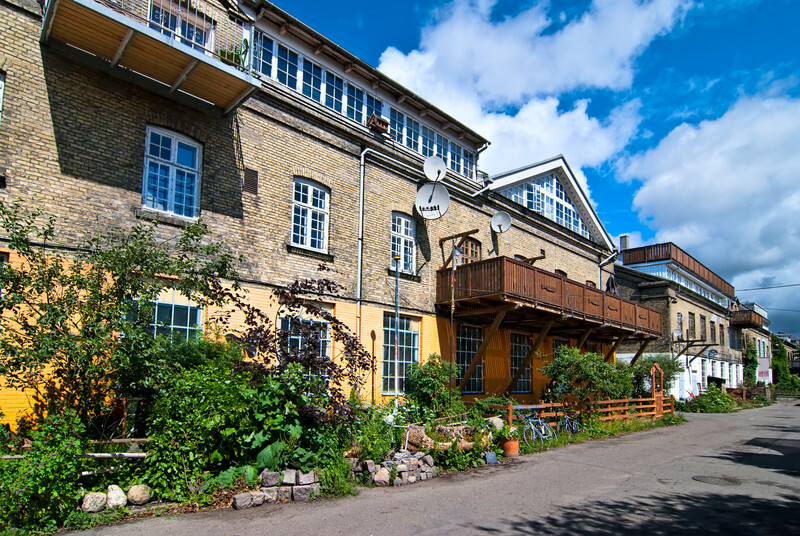 A few blocks west of the Botanical Gardens takes you to the Søerne or “The Lakes”. The Søerne is a canal that is cut off from other Copenhagen canals. Carlsberg Brewery – guided tours of one of the oldest breweries in Scandinavia. 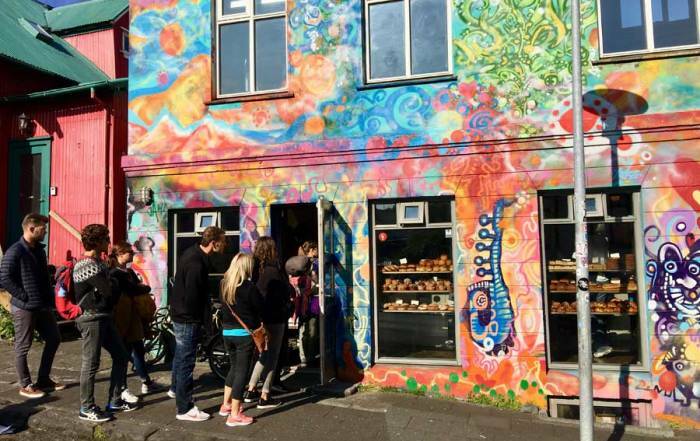 Museum of Copenhagen and the Vesterbro area with its boutiques, design studios, cafes and bars. Havnebadet Islands Brygge – Public pools in the harbor for summer swimming. Grundtvigs Protestant Church – located a 10 minute drive north from the old city center. Frederiksberg Slot (Castle) and Gardens – royal residences located about 10 minutes west of the old city center. Dyrehaven is “The Deer Park”, north of town but easily accessible on the S Train. The name refers to the past, when deer filled the fields of the former hunting grounds of Danish royalty. Today it is home to the Bakken Amusement Park. Roskilde Viking Ship Museum – see 5 Viking ships, 30 minutes west of Copenhagen. 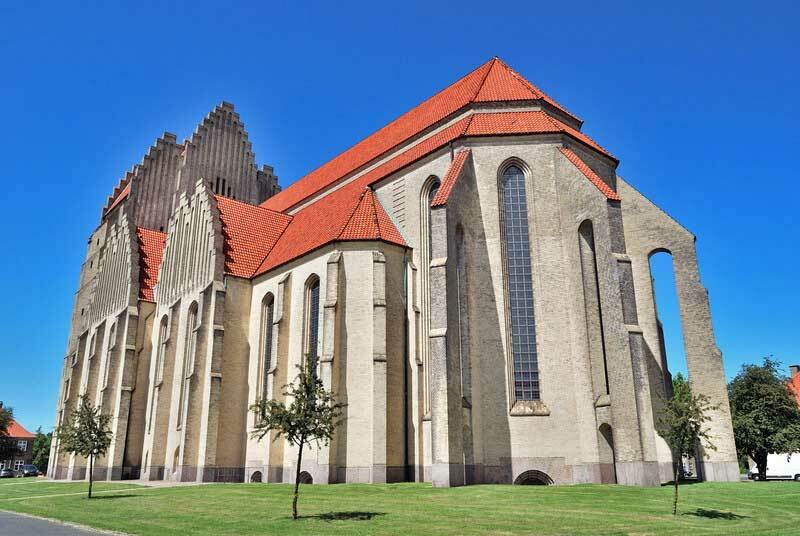 Also visit the Roskilde Cathedral. Take a 40 minute drive to Kronborg Castle, in the city of Elsinore – made famous by Shakespeare in Hamlet. See the Louisiana Museum of Modern Art on your way too. Take the Øresund Bridge-Tunnel from Copenhagen to Malmo, Sweden. 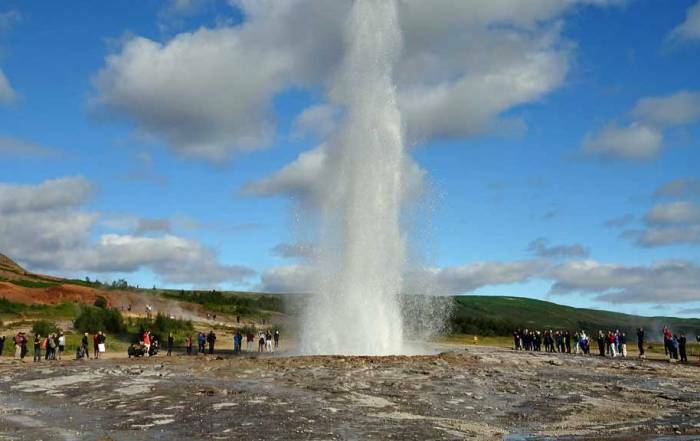 For a unique experience for children, travel 3 hours to the Jutland peninsula to visit Legoland – Billund. Public transportation is a good way to get around Copenhagen. Buses are available from the cruise ship docks to the Tivoli Gardens, the Stoget pedestrian shopping area and the home of Hans Christian Anderson. Another great option is Copenhagen City Bike, which has GPS maps on each bike. Use the Copenhagen City Bike app to find the nearest available bike. Copenhagen Kastrup Airport (CPH) is the hub for Scandanavian Airlines. 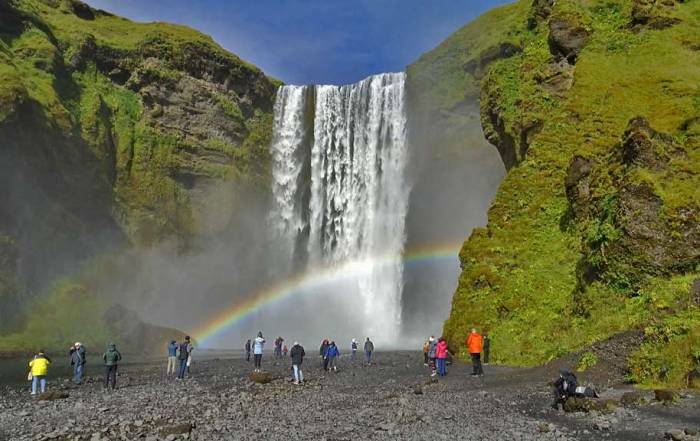 The airport is about 15 minutes by train from Central Station in the Old Town city center. Copenhagen weather temperatures are cool even in summer. The summer temperatures in Copenhagen average around 68 F (20 C) for highs and 50 F (10 C) for lows. June to September are the best months to visit Copenhagen for weather. Copenhagen is spelled Kobenhavn in Danish. The name translates to “merchant’s habor”. 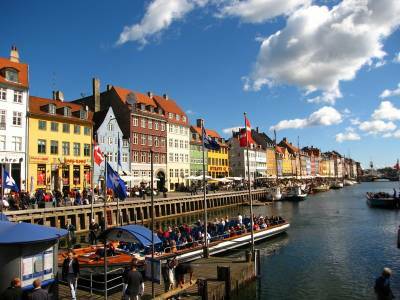 Copenhagen is the capital of Denmark and its largest city. More than a million people live in the city. Copenhagen was founded in 1167 at the current site of Christiansborg Palace. The city has struggled to retain its importance in controlling shipping between the Atlantic and the Baltic Sea. 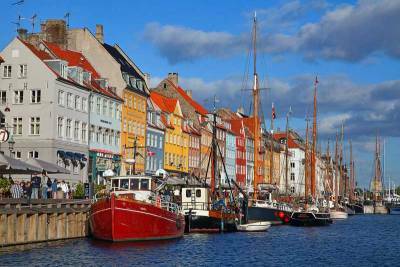 Copenhagen is a major port on ocean liner cruises to Scandinavia. Cruise ships can take the pastoral German Kiel Canal between Copenhagen and the United Kingdom.